College planning choices are some of the most important decisions our high school students will have to make in the coming years. The "where," "when," "how," "why," and "if" are all things that need to be addressed. I've gathered some links and resources that I have found helpful in answering students' and parents' questions about college, scholarships, pre-college testing, and financial aid. You can also reference the right sidebar for dates of upcoming tests at our school and college representative visits. 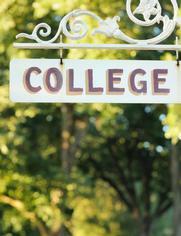 I encourage you to contact me at the high school with any questions about college planning, testing, or scholarships. I'm here to help! This list shows scholarships that are currently accepting applications. New listings will be in the daily announcements. In general, more national scholarships are available starting in the Fall and more local and regional scholarships become available in January-May. (They do not need as long of a selection time.) Remember to read all qualifications carefully so you don't waste time on scholarships you are not eligible for! High School seniors (excluding foreign exchange students) are invited to compete. Your speech of up to five minutes in length may be on any topic of your choice, as long as it is approved by Mrs. Haak or Mr. Elenbaas. All rotary members strive to uphold these values in their clubs and communities. May 7 - Preliminary Round continued if there are more than 25 applicants. May 15 - Top five speakers from the prelimary round will present their speeches to the Yakima Sunrise Rotary Club. Rotary club will vote. May 22 - Winners will be announced and awards presented. All participants must be available for the preliminary round and the final round. + NWCCF Careers that Work! - NWCCF Careers that Work! Each year, every high school in Idaho, Oregon, and Washington (public and private)are given five $1000 tuition scholarships to award to graduating students headed to one of the participating career colleges. The most common participating college our students attend is Perry Technical Institute. $1,000 one time to up to 5 SCHS Students. If you are planning to attend a participating college, see your counselor to be nominated for this scholarship. Connect to Washington scholarship providers...for FREE! Making a profile on this site will show you scholarship listings that you are eligible for and help you submit applications for them. This article also describes a few things to look for when applying for scholarships to make sure you are not tricked by a scholarship scam. Students with financial need may qualify to take the SAT and ACT for free. The SAT Reasoning test is required for admission by some colleges. Tests are offered about 6 times per school year at various High Schools in the area. You will need to register and pay online. See Mrs. Haak if you have questions! Here you can register for the ACT, required by some colleges for admission. When you sign up, you will need our school code to make sure your scores are sent to our school. The code is 481-349. The ACT is offered at SCHS in October and April. Other test dates may be available at nearby locations. The FAFSA, or Free Application for Federal Student Aid, is the first step in applying for financial aid each year you attend college. The FAFSA can be filled out after October 1st of your senior year. The following videos are a good resource to familiarize yourself with the process of applying and what to expect.